It's official: Ride-hailing companies such as Uber and Lyft are allowed in the Last Frontier. Gov. Bill Walker on Thursday signed House Bill 132, which will let these so-called "transportation network companies" start operating in Alaska. Uber and Lyft have been recruiting drivers in preparation to begin operations. Lyft launched in Anchorage, Juneau and Fairbanks as soon as the bill was signed on Thursday. Uber will launch Friday at 3 p.m. in Anchorage, said spokesman Nathan Hambley, then in Juneau on Monday and in Fairbanks on Wednesday. Also on Wednesday, the company will essentially be "turning on" service in the entire state, Hambley said. "If drivers sign up and there are riders who want rides in smaller cities, say Ketchikan, Nome, etc., a market will essentially become established in those cities as well," he said. How do Uber and Lyft work? Ketchikan Creek has opened to sport fishing for all species, including king salmon, according to an announcement from the Alaska Department of Fish and Game. The Deer Mountain Hatchery will not be collecting brood stock from the creek this year, according to the announcement. Therefore, there will be excess king salmon in Ketchikan Creek available for harvest. The bag and possession limit for king salmon in Ketchikan Creek is two of any size. Chinook harvested in the creek do not count toward a nonresident angler’s annual limit. The bag and possession limit for salmon, other than kings, 16 inches or greater in length, is two per day in combination, and two in possession. Salmon catches in the North Pacific ocean remain at all time highs, and Alaska is a major player. The North Pacific Anadromous Fish Commission (NPAFC) announced the catches last month, as reported by its member countries – Canada, Japan, Korea, Russia, and the U.S. Since 1993, the Commission has promoted the conservation of chum, coho, pink, sockeye, Chinook and steelhead trout in the North Pacific, Bering Sea and the Sea of Okhotsk, and serves as a venue for coordination of research and enforcement activities. Salmon abundance is based on combined commercial catches which in 2016 totaled nearly 440 million fish, just slightly below previous years. Catches tend to be lower in even numbered years due to lower abundance of the most predominant species – pink salmon. Russia ranked #1 for total salmon catches, taking 51 percent, or nearly 967 million pounds. The U.S. was second at 33 percent – 617 million pounds, of that 598 million pounds came from Alaska. Japan caught 13 percent of the North Pacific total (245m pounds), three percent by Canada (47m pounds) and less than one percent by Korea. How Much Lead is in Baby Food?!? Lead was found in 20% of more than 2,000 baby food samples, compared to 14% in another 10,000 food samples, according to an Environmental Defense Fund analysis of Food and Drug Administration data released Thursday. Lead was most commonly found in fruit juices (89% of grape juice samples and 55% in apple juice samples), sweet potatoes (86% of samples) and teething biscuits (47%). At least one sample in 52 of the 57 types of food evaluated had detectable lead and eight types of baby food had lead in 40% of their samples as well. There’s no safe level of lead, according to the EDF, and yet about 500,000 children have elevated blood lead levels, according to the Centers for Disease Control and Prevention. Children face the highest risks from blood lead levels, including behavioral problems and lower IQs as they grow. There are foods that can help prevent lead poisoning, however, according to the Massachusetts Health and Human Services department, such as those high in calcium and iron, which make teeth and bones strong — two areas of the body where lead is stored — which blocks lead absorption, according to the Academy of Nutrition and Dietetics in Cleveland. Parents should also have their children tested for lead, tell them to wash their hands often — especially before eating and sleeping, clean their toys and feed them healthy snacks such as yogurt, cheese slices and whole grain crackers, WHO advises. A giant lobster, believed to be 132 years old, was released into the wild Friday after spending two decades in a tank at a Long Island clam bar. Louie the Lobster — a 22-pounder who narrowly escaped the pot — was zipped by speedboat to his new home near the Atlantic beach reef in honor of National Lobster week, said Butch Yamali, owner of Peter’s Clam Bar in Hempstead. “Louie has been here about 20 years. He looks like he’s ready to go,” Yamali said before loading him into a boat docked at Reynolds Channel. Last week, a customer offered Yamali $1,000 to chow down on Louie at a Father’s Day dinner, he said. “He was trying to negotiate with me. He said, ‘I want to bring it home for a Father’s Day feast.’ I mean, that would’ve been some impressive feast. But I didn’t want to sell it. It’s like a pet now, I couldn’t sell it,” Yamali said. Instead, he granted the clawed critter “amnesty” and invited town officials to the ceremony. Tim Allen's Last Man Standing refuses to take a seat! The sitcom may continue on after being canceled by ABC earlier this year, with its new home CMT, The Hollywood Reporter says. Last Man Standing producer 20th Century Fox and CMT are in early discussions to continue the show at the country-themed network. The cancellation of the comedy really stuck in the craw of some fans, who accused ABC of axing the show because it exhibits conservative values. Allen tweeted that he was "blindsided" and "stunned" by the cancellation, and some numbers back him up: it was one of ABC's most-watched shows. CMT already has some experience reviving a canceled ABC show. The network brought on Nashville after its cancellation last year. 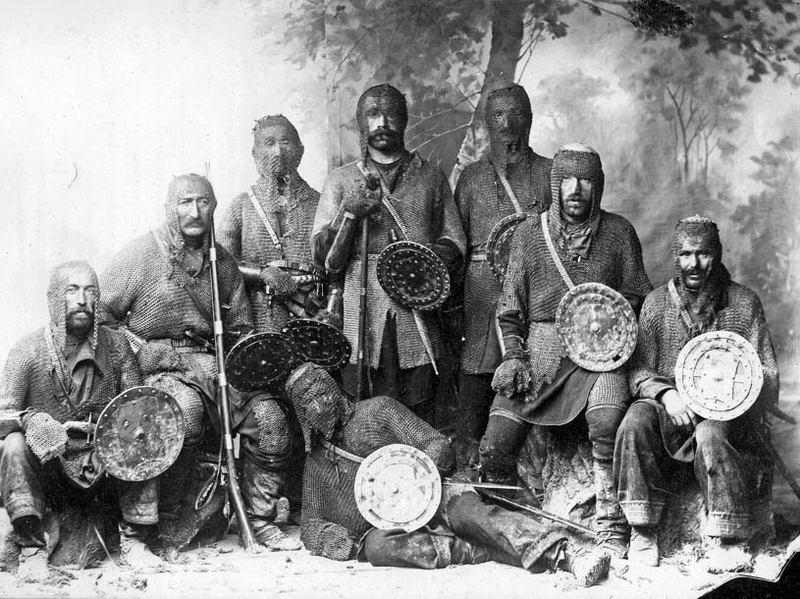 The warriors were Khevsurs from the historical Khevsureti region of north east Georgia. 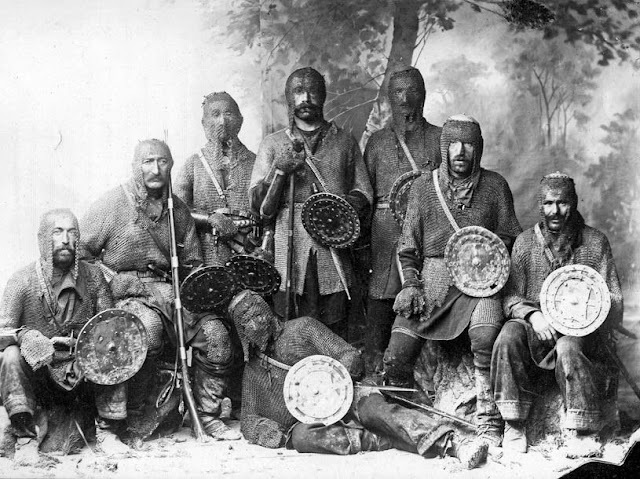 Legend tells that they are descended from Crusaders who left France 800 years ago and became detached from the main army, marched through Turkey and Armenia and settled in the Greater Caucasus mountains in Georgia. Don't Forget to Subscribe to Posts Via Email and Share with Your Friends!